The traditional nine to five office environment is changing dramatically as real estate costs go up, companies operate globally and a new generation with distinct expectations enters the workforce. On November 20, join us for lunch and a speaker panel to discover best practices through this exciting evolution. Listen and learn from an exclusive panel of Toronto and London-based industry leaders. IABC London, in partnership with BMC, has assembled a speaker panel whose business it is to help others transform their companies. 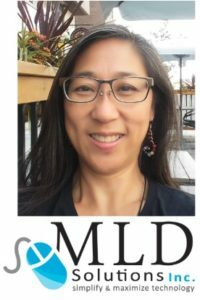 Marcia Mayhew, President and CEO, Mayhew Inc.
Mona Lam-Deslippe, Owner, MLD Solutions Inc. 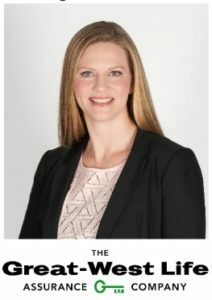 In her role as Assistant Vice-President, Marketing and Communications for Great-West Life Group Customer, Amanda is a key member of the leadership team that oversees the marketing of group benefits and group investments to Canadian businesses. She and her team partner with others in the division to help drive new sales, retain business, grow in new market segments, develop first-to-market solutions and increase member engagement. Amanda is passionate about building an engaged team who can confidently experiment with new ideas to deliver on the needs of customers. Marcia has evolved Mayhew’s business model to focus on an integrated design solution, supporting local Canadian companies and products. Mayhew works with clients to maximize their investment in technology, process and people by leveraging their investment in space. 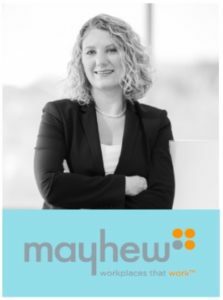 Mayhew creates and maintains workplaces by developing plans and providing innovative solutions to boost productivity, facilitate collaboration, enhance work life and build organizational pride. Mona has been an entrepreneur in the tech sector for 30 years. As a founder and CEO of a software development company she manages a team of technical and non-technical resources. Learning and implementing new technology is a passion. Specializing in the design of applications that enable companies to manage their data and streamline operations, Mona has worked with corporations of all sizes as well as municipalities, schools boards and government offices. Her latest project is an interactive multi-media platform that enables the capture and visualization of data. has been immersed in the legal industry for over two decades. Working with both clients and vendors, James has led the development and deployment of global enterprise wide knowledge management, search, document management and library initiatives. He specializes in developing successful adoption, culture and change management programs. 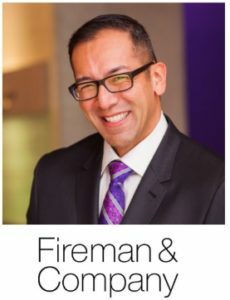 Fireman & Company is the legal industry’s leading knowledge management consultancy. foster a positive employee culture. 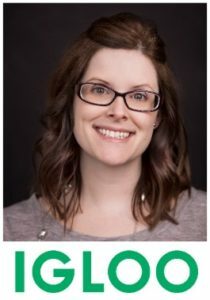 Kristen was recently featured in Human Resources Director Canada’s Hot List 2018, recognized as a professional who is reshaping the future of HR in Canada. 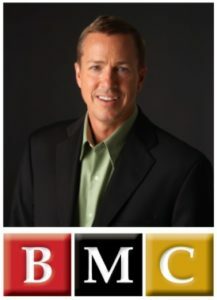 Bruce is a corporate trainer, professional conference speaker, executive coach and published writer. Bruce specializes in customized professional development & communication training like Leadership Development for New & Existing Leaders, Motivational Skills In The Workplace, Generational Differences (Millennials At Work), Email Etiquette, Time Management, and Having Difficult Conversations. Bruce Mayhew Consulting believes learning builds potential and loyalty.